Recently, the daughter of one of my friends said she could not read a note I had written her, because I had written the note in my regular cursive handwriting. I was shocked to discover that her school was no longer teaching cursive writing, and even more shocked to learn that there were few students her age who could read cursive writing. Even though I do not have children, this is worrisome to me as a concerned citizen, because, unbeknownst to parents and the public in general, by depriving children of the ability to read cursive writing, we are depriving them of independence and introducing a layer of control between the children and primary source materials. If you are unfamiliar with research, you may not know that primary source materials are the foundation of all historical research. I realize many people think history is not useful, but I can give you one very clear example of why you should care about primary documents. Imagine, if you will, a world in which only a very few people can read cursive handwriting, and everyone who cannot read it is dependent on those who can. This means that those who did not learn cursive writing cannot read it for themselves, but must have it interpreted for them by someone else. Such a person, for example, would be completely unable to read the originals of important documents such as the Declaration of Independence , or the Constitution of the United States of America for themselves, and instead would have to rely on someone else who could read the document to transform it into print. The situation then becomes open to all kinds of abuse by those in power. 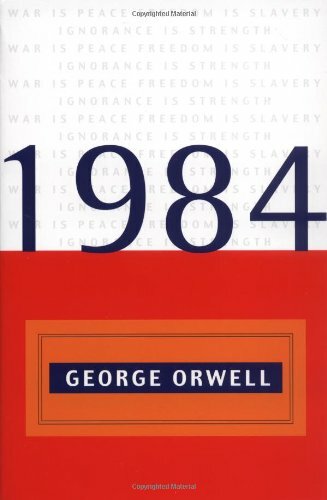 Those who have read George Orwell's 1984 will remember that the government bombarded its citizens with slogans such as "War is Peace," and "Ignorance is Strength," in a method Orwell (the pen name of Eric Arthur Blair) entitled "doublespeak." Similarly, the people and corporations who control access to and the interpretation of these important primary sources could easily change the text to serve their own purposes while transferring it to printed characters, and few would be the wiser. In addition, because most historical documents were written in cursive writing, no new research could be performed on those primary sources. 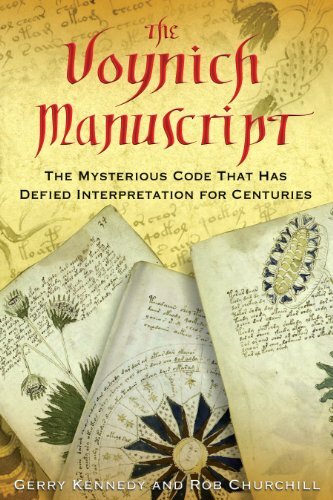 Thousands of years of governmental records, letters, household inventories, shipping lists, recipes, family histories, account books, diaries, and other primary sources would become as inaccessible as the mysterious Voynich Manuscript . Powerful and disturbing, Eric Arthur Blair's dystopian vision of society comes nearer with each passing year. While the government may not be propagandizing us, we can be certain that media (newspapers--even the comics--, television--even the cartoons--, talk radio, and "news" websites) are sending us messages that we come to blindly repeat and, in time, believe. The importance of this book in examining language as a weapon and a tool of mass manipulation cannot be overstated. If you haven't read it, you need to! Nobody has yet been able to decode this text. This book presents just some of the fascinating history and personalities behind the mystery. When I traveled to Europe, I was able to get around quite easily because I had studied many languages. When I briefly stopped in Hungary, my experience was shocking. I could not read a single word and every bit of language was completely meaningless to me, although it was clearly meaningful to everyone around me. I suddenly had the experience of being illiterate, and having to depend on complete strangers for every piece of information. I have the same experience upon examining the Voynich Manuscript; it is clearly meaningful, but whatever information it possesses is forever obscure. A book to examine if you wish to know what the future will be like without being able to read cursive writing. The Internet Archive has the full scans of the Voynich Manuscript. Lest you think I am a complete idiot, or a conspiracy theorist, in this video from the Associated Press, one of the teachers interviewed addresses the problem of losing the ability to read documents written in cursive writing, including family letters and the Constitution. We are in danger of losing much of the world's history, or worse, having it fall into the hands of a very few, who would be free to alter any aspect of what is taught as history in school to serve their own ends. Whether we realize it or not, this is the real class warfare, and it is happening today. If we do not fight to reverse this trend, soon we will leave the entire history of the human race in the hands of an elite class. Hegel tells us, "What we learn from history is that people don't learn anything from history." We must absolutely, this time, learn from history how an elite class can manipulate knowledge with the object of transforming that knowledge into power, and stop the possibility of this happening now. 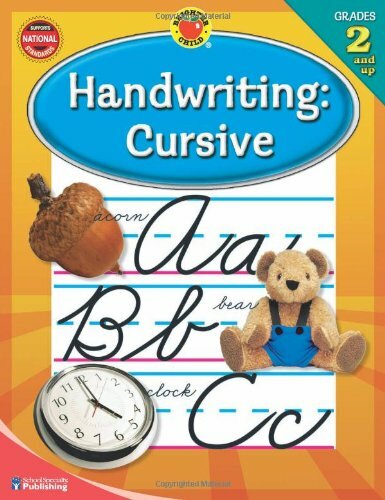 If your children are not learning cursive penmanship, get a book to teach them. You can download penmanship paper for more practice pages. If you're not accustomed to teaching handwriting at home, this book may be of help to you. Cursive writing engages different areas of the brain than either printing or typing. In addition, scientists are finding that cursive writing may have many other benefits, as well. Yet new standards teach only "legible writing," and do not teach handwriting at all after first grade. At school age, children need all the brain development they can get, and to cut cursive writing out of the curriculum deprives children of those extra developmental benefits. I always had a problem with my own cursive writing - it's so bad no-one could read it. Including me. I can still read other people's fortunately, but when it comes to writing myself I use block capitals. I don't think I was taught particularly well when we were taught how to do "joined up" writing. There's some evidence that learning to improve your handwriting, even later in life, activates certain areas of your brain that make other brain functions work better. You CAN get better with practice! I have a few times considered trying to improve my handwriting, as I still make a lot of notes with pen and paper and I can certainly write cursive a lot faster than block printing, I just can't read it afterwards. I've never really got around to doing anything about it though. Every point made here is valid and worthy of discussion. EXCELLENT piece, thumb, and when I get to my PC here in about 30 minutes or so I'm gonna share the hell out of this. I wasn't taught cursive until the 3rd grade, and I remember being frustrated that I couldn't read cursive before then (especially if my mom was sending a note to my teacher!) But, more importantly, personal letters and filed letters from Civil War soldiers and other similar documents will be out of reach of those who can't read it. Or, by extension, write it. People CAN write with the same speed in print or block letters, but cursive DOES make one think differently, however. If I am handwriting something in cursive my sentences and thoughts form slightly differently than if I'm printing or using a keyboard. And that's backed up by recent scientific studies. Cursive activates different parts of the brain than printing or typing. Therefore, of course you would think differently! Classicalgeek, your writing can also get worse if you don't use it. My handwriting was bad when I was young, but has definitely got worse now that I type everything on a computer. Recently in my area, a kid went for a SIN card (Social Insurance Number) and was unable because he could not sign his name in writing only printing. Signatures are unique to each person and not having one leaves you open to have a very easy signature to copy, not to mention that some places won't accept a printed name as a signature. My father always wrote in block letters, but he did have a signature, basically a Big R with a bumpy line and a big W with ... yep a bumpy line. lol. This is a great article. I just finished my freshman year of high school and was astounded at the few amount of students that still use cursive. I transferred over to printing this year because I realized that I could write at about the same speed as my cursive. I sort of use a mixture of cursive and block letters. Again, great article. Interesting article. I think you could say that the US government IS propagandizing us. Over time the messages and slogans become normalized and accepted as truth. I think especially of the video games and Army of One commercials directed at boys and young men. These young ones are probably receiving as much propaganda as education in our public schools. And this is related to cursive handwriting, somehow? The conscious movement away from cursive in public schools is just one symptom of a much larger issue. Public schools in general no longer want to produce educated citizens, rather good consumers. A good citizen might want to review the constitution in its original format, a good consumer will likely have little interest in doing so. This is a trend that has been going on since the 1970s, and I'll probably address it on another account on another site. You are correct: curiosity and creativity are being discouraged generally, and that is bad for society. I don't necessarily think it is a conscious movement but rather being doomed to repeat history we didn't really learn the other times. I was shocked also to learn that kids are no longer being taught cursive writing. Thanks for sharing this and for - hopefully! - opening some eyes to the negative impact such a decision can have. My first grader niece saw her third-grader brother's notebook and was fascinated with cursive writing. Since then, she was trying to write in cursive eventhough in her class they only use the print letter style. And at her young age, she writes in cursive beautifully.